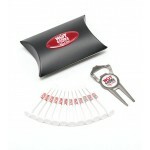 Corporate Golf Sets are a professional method of promoting your company, brand and logo at a corporate golf event. 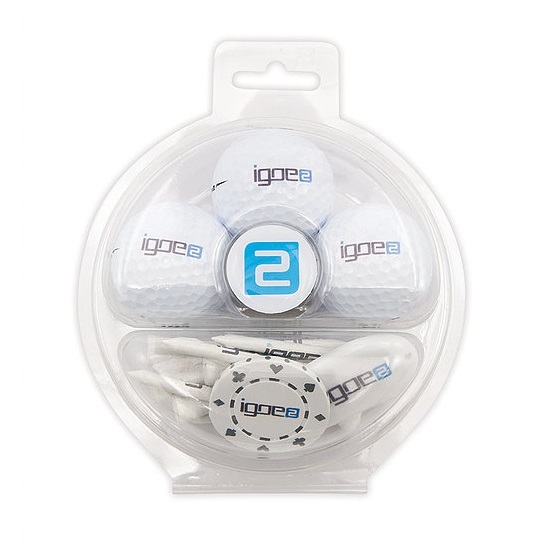 Our high end promotional packaging solutions allow you to give away branded golf items that will be effective at marketing your company. The high quality Business golf day presentation options that Magellan World offer are guaranteed to boost your marketing presence. 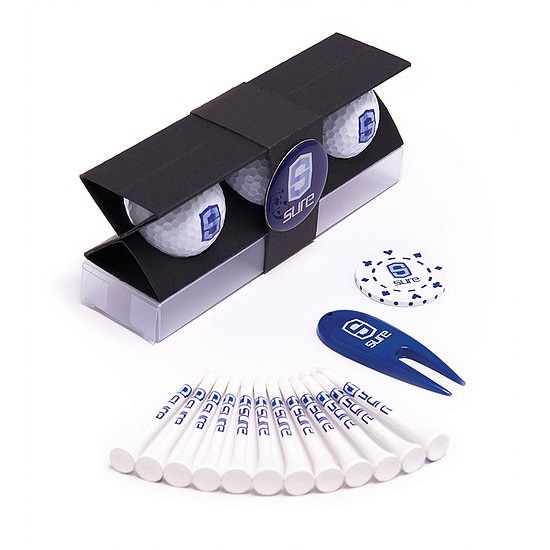 We offer items from plastic presentation tubes with a golf ball and other accessories up to a high quality golf towel presentation box. 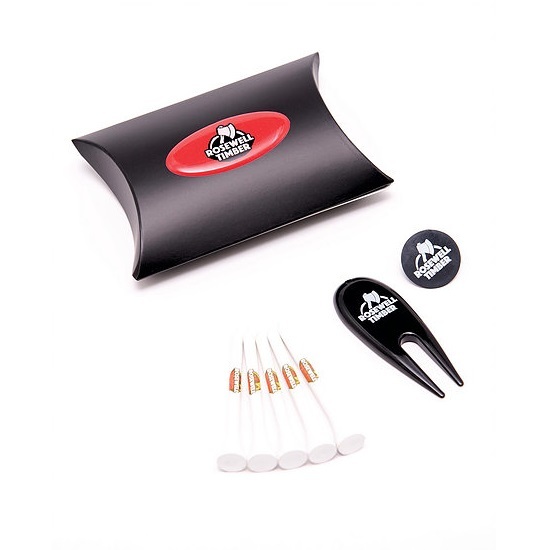 Professional presentation box with magnetic closure, perfect for a corporate golf day. Simple yet full packaging piece with variable contents. Small leatherette gift bag with promotional golf contents. 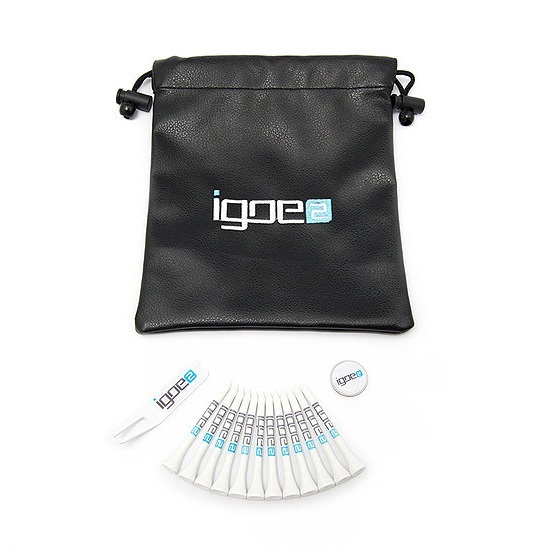 Promotional golf aluminium tube pack with big branding space and variable contents. 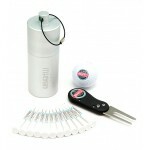 Small presentation box with 3 balls and other golf accessories. Small plastic tube with golfing accessories. Other variants available. Silver tin with a hinged front with window. Variants of golf accessories are available. Small plastic pillow pack with golfing accessories inside. Variants are available. Small high quality packaging piece with pitch tool and other accessories. 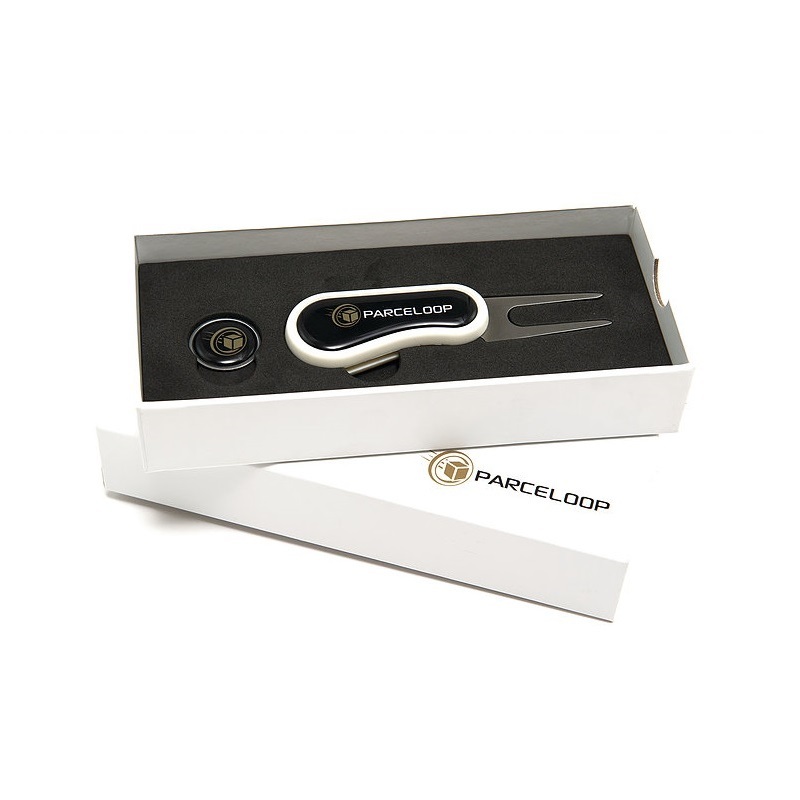 Golf Scorecard with Towel Presentation Box is a luxury box with magnetic closure. This golf promotio.. 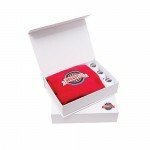 Golf Towel Presentation Box is a luxury box with magnetic closure. 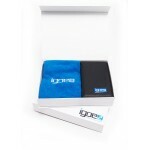 This golf promotional packag..
Flix Pro Golf Tool Presentation Box is a luxury box with magnetic closure. 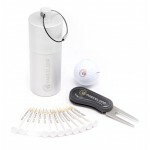 This golf promotional pac..
Flix Lite Golf Tool Presentation Box is a luxury box with magnetic closure. This golf promotional pa.. 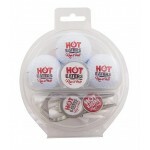 Promotional Round Golf Package 10 is a 3 ball pack with full colour resin dome with compartments for.. 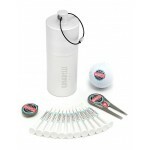 Promotional Round Golf Package 9 is a 3 ball pack with full colour resin dome with compartments for .. Promotional Golf Leatherette Gift Bag 10 available in Off White, Black, Blue or Red. Embroidery to t.. Promotional Golf Leatherette Gift Bag 9 available in Off White, Black, Blue or Red. Embroidery .. Promotional Golf Leatherette Gift Bag 8 available in Off White, Black, Blue or Red. Embroidery .. Promotional Small Golf Bag 12 comes as a polyester zipped or drawstring bag available in White, Blac.. Promotional Small Golf Bag 11 comes as a polyester zipped or drawstring bag available in White, Blac.. Promotional Small Golf Bag 10 comes as a polyester zipped or drawstring bag available in White, Blac.. 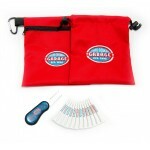 Promotional Small Golf Bag 9 comes as a polyester zipped or drawstring bag available in White, Black.. 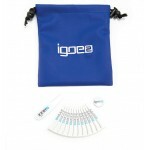 Promotional Small Golf Bag 8 comes as a polyester zipped or drawstring bag available in White, Black.. 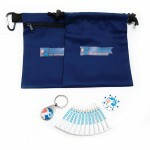 Promotional Small Golf Bag 7 comes as a polyester zipped or drawstring bag available in White, Black.. Promotional Golf Plastic Tube Pack 12 with full colour direct digital print and black & nickel s.. 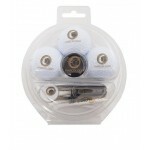 Promotional Golf Plastic Tube Pack 11 with full colour direct digital print and black & nickel screw.. Promotional Golf Plastic Tube Pack 10 with full colour direct digital print and black & nickel screw.. Promotional Golf Pillow Pack 14 available in Black or White card with full colour or clear resin dom.. Promotional Golf Pillow Pack 13 available in Black or White card with full colour or clear resin dom.. 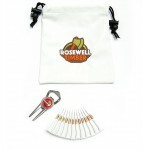 Promotional Golf Aluminium Tube Pack 1 contains aircraft grade aluminium tube with laser engraved lo.. 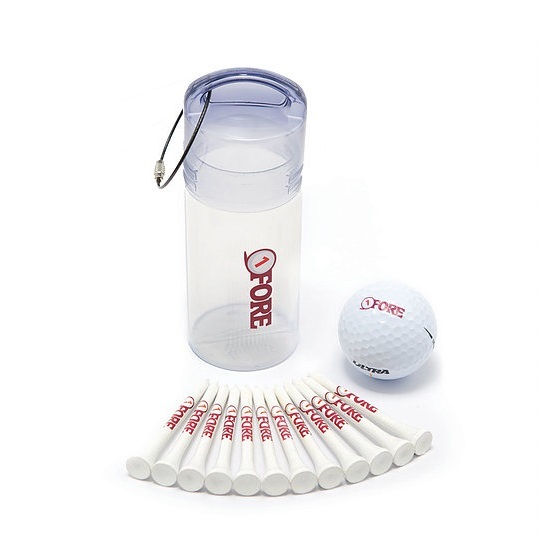 Promotional Golf Aluminium Tube Pack 2 contains aircraft grade aluminium tube with laser engraved lo.. Promotional Golf Aluminium Tube Pack 3 contains aircraft grade aluminium tube with laser engraved lo.. 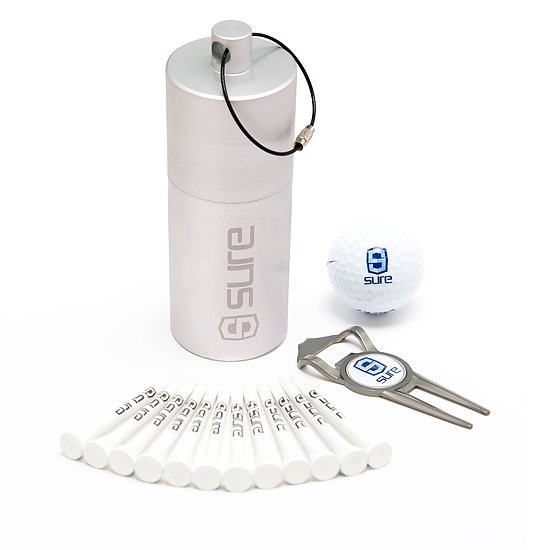 Promotional Golf Aluminium Tube Pack 4 contains aircraft grade aluminium tube with laser engraved lo.. Promotional Golf Aluminium Tube Pack 6 contains aircraft grade aluminium tube with laser engraved lo.. Promotional Golf Aluminium Tube Pack 7 contains aircraft grade aluminium tube with laser engraved lo.. 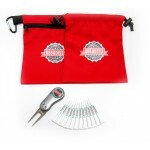 Promotional Golf Aluminium Tube Pack 8 contains aircraft grade aluminium tube with laser engraved lo.. 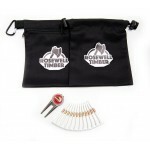 Promotional Golf Aluminium Tube Pack 9 contains aircraft grade aluminium tube with laser engraved lo..